For such a compact country, Jordan has an overwhelming array of historical sites and geographical features ripe for exploration. From the magical hidden city of Petra to Wadi Rum, and from the Dead Sea to the Crusader Castles dotted throughout the country, this journey manages to encompass all of the highlights. Our day walks in Petra take us to the High Place of Sacrifice at sunrise. We visit Madaba and Mt Nebo, we travel the Kings Highway to the prominent crusader castle of Kerak and we visit Jerash, 'the Pompeii of the East'. 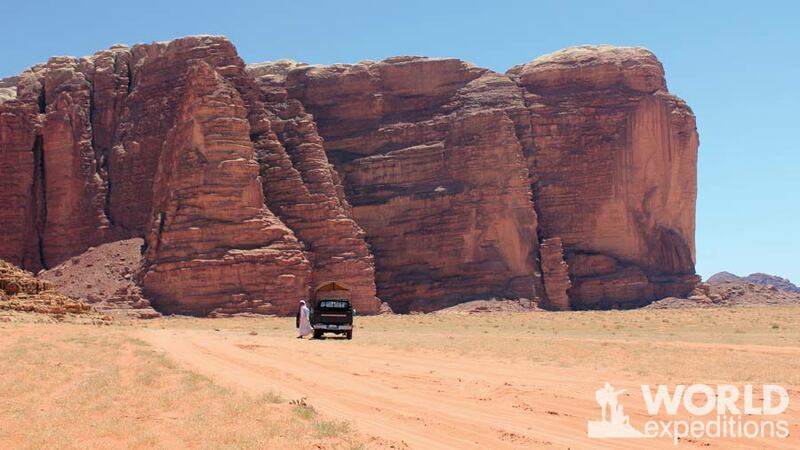 A 4WD journey into the Wadi Rum allows us to spend time among the local Bedouin people. We return to Amman via the shores of the Red Sea and a dip in the Dead Sea. For a the trip grading and a detailed description of this 8-day holiday, please visit our website.